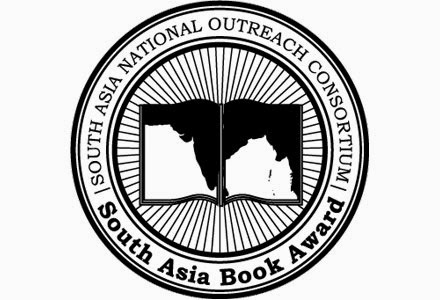 The South Asia Book Award (SABA) is given annually for up to two outstanding works of literature, from early childhood to secondary reading levels, which accurately and skillfully portrays South Asia or South Asians in the diaspora, that is the experience of individuals living in South Asia, or of South Asians living in other parts of the world. Up to five Honor Books and Highly Commended Books are also recognized by the award committee. 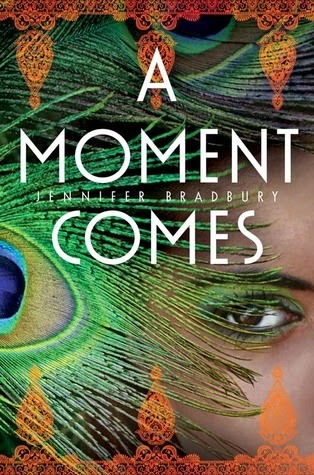 Before India was divided, three teens, each from wildly different backgrounds, cross paths. And then, in one moment, their futures become irrevocably intertwined. Tariq, Anupreet, Margaret are as different as their Muslim, Sikh, and British names. But in that one moment, their futures become entirely dependent on one another. (Grades 8 and up). Razia dreams of getting an education, but in her small village in Afghanistan, girls haven’t been allowed to attend school for many years. When a new girls’ school opens in the village, a determined Razia must convince her father and oldest brother that educating her would be best for her, their family and their community. 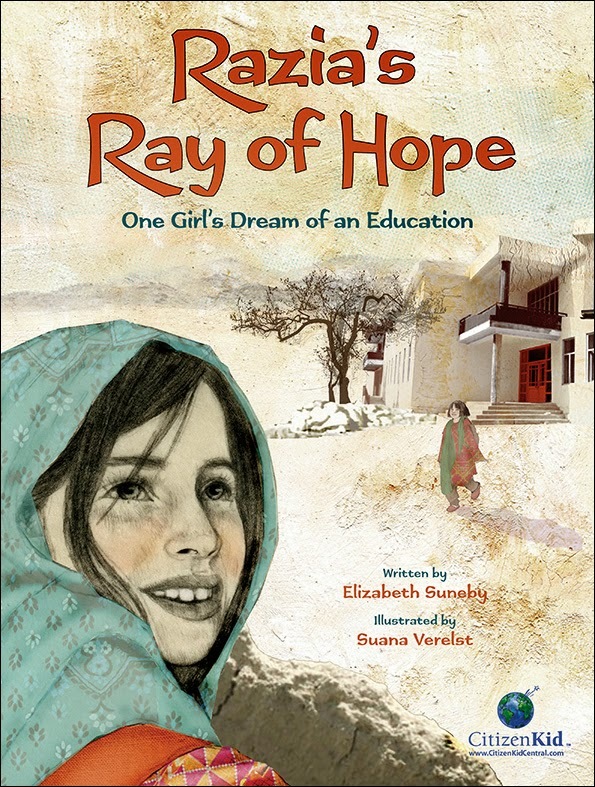 Based on the true stories of the students of the Zabuli Education Center for Girls just outside of Kabul (Grades 3-8). Bye, Bye, Motabhai! 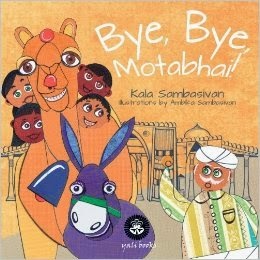 by Kala Sambasivan, illustrations by Ambika Sambasivan (Yali Books, 2013). Pavan, an over-worked camel in the city of Ahmedabad, India, hates his job. He often dreams of being a racing camel in Dubai. But hitched to a heavy vegetable cart and with his owner Motabhai around, how is this possible? (Grades pre-K-3). 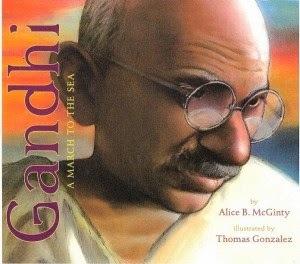 Gandhi: A March to the Sea by Alice B. McGinty, illustrations by Thomas Gonzalez (Amazon Publishing, 2013). Mohandas Gandhi’s 24-day March to the Sea, from March 12 to April 5, 1930, was a pivotal moment in India’s quest to become an independent country no longer ruled by Great Britain (Grades 3 and up). 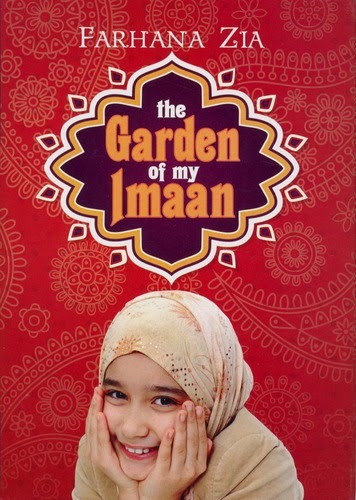 The Garden of My Imaan by Farhana Zia (Peachtree, 2013). The arrival of a new student, Marwa, a fellow fifth-grader who is a strict Muslim, helps Aliya come to terms with her own lukewarm practice of the faith and her embarrassment of others’ reactions to their beliefs (Grades 4-7). 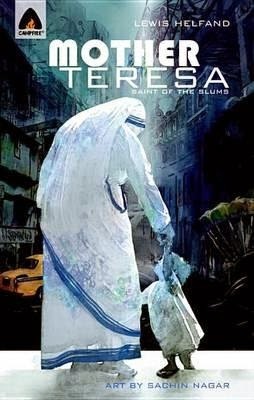 Mother Teresa: Angel of the Slums by Lewis Helfand, art by Sachin Nagar (Campfire, an imprint of Kalyani Navyug Media, 2013). Mother Teresa knew from a young age that she wanted to become a nun. What she could not envision was where that service to God would take her, until she was sent to Calcutta to teach (Grades 6 and up). 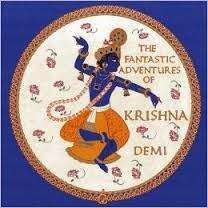 The Fantastic Adventures of Krishna written and illustrated by Demi (Wisdom Tales, 2013). Set in a peaceful kingdom in India more than 5000 years ago, this is the enchanting tale of the child Krishna, who is sent by the God Vishnu to aid humanity (Grades K and up). Gobble You Up! 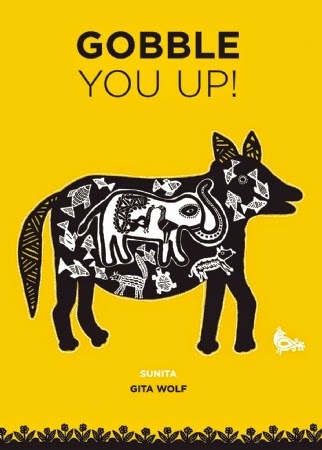 by Gita Wolf, art by Sunita (Tara Books, 2013). In this adaptation of a traditional oral Rajasthani trickster tale, a wily jackal, who is too lazy to go hunting himself, challenges his best friend to catch 12 fish. The narrative unfolds in cumulative rhyme, accompanied by distinctive finger paintings created in the ancient Mandna style (Grades pre-K-3). 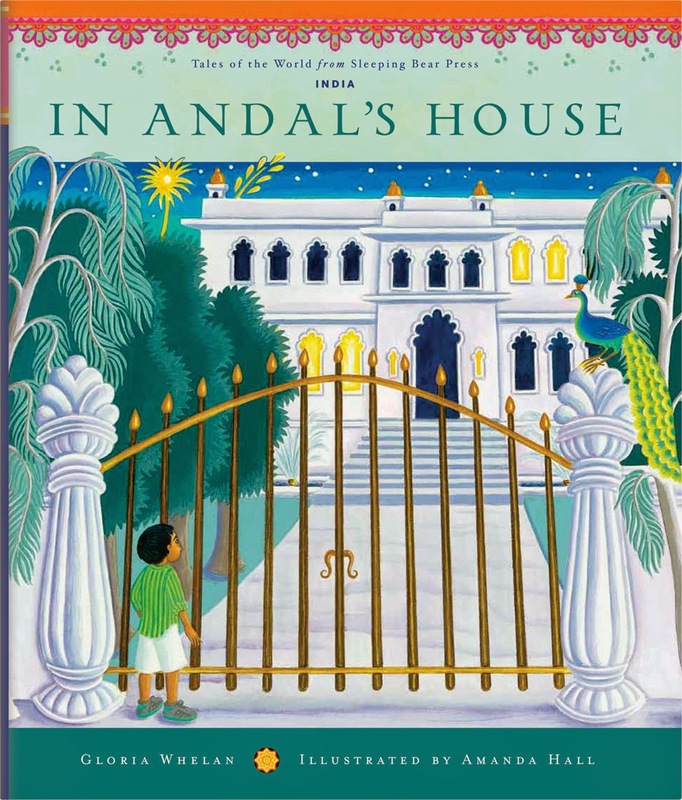 In Andal’s House by Gloria Whelan, illustrations by Amanda Hall (Sleeping Bear Press, 2013). As a young boy in Gujarat, Kumar sometimes feels like he lives in two worlds. The old world where people and their choices are determined by prejudice and bigotry; and the modern world: in this world Kumar can be friends with whomever he chooses and his future looks bright (Grades K-3). 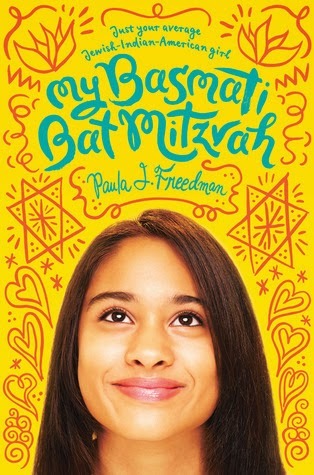 My Basmati Bat Mitzvah by Paula J Freedman (Harry N. Abrams, 2013). Tara’s not sure she wants to have a bat mitzvah. Even though she’s attended Hebrew school, her mother’s Indian heritage has a pull on her, and she wonders if she dishonors her Indian grandparents by declaring her Judaism (Grades 5-8). Torn by David Massey (Chicken House, 2013). 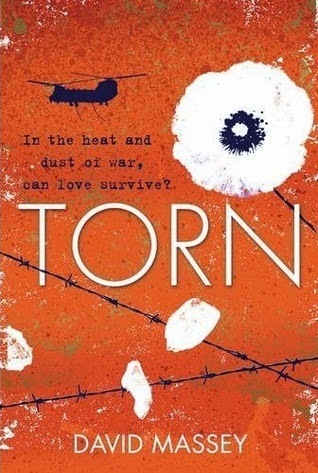 The story follows Ellie, a 19-year-old British medic, during her tour of duty in Afghanistan. Her squad is attached to a small troop of American SEALs who must find a hidden cache of arms and learn about a children’s army that is fighting both the Western Coalition and the Taliban (Grades 8 and up). The 2014 South Asia Book Award Ceremony will be held in Madison, Wisconsin on Saturday, October 18, 2014.